Distracted driving is one of the leading causes of avoidable motor vehicle accidents. The most common form of distraction behind the wheel is cell-phone use while driving. This is why so many states have enacted laws to cite those that drive while using their cell phone in a hope to decrease distracted driving accidents. From 2016 to 2017, distracted driving-related citations increased by 52% in Pennsylvania. Pennsylvania law enforcement officials issued 5,054 distracted driving citations in 2017, up from 3,336 citations in 2016. 15,542 citations have been issued in Pennsylvania since 2013. According to the NHTSA, 3,477 people were killed and 391,000 were injured in crashes involving distracted drivers in 2015. They estimate that around 660,000 drivers are using an electronic device while driving daily. Previous studies have shown that properly installed rear-facing car seats will protect children in front end and side impact accidents. However, a new study performed at Ohio State University Wexner Medical Center shows that rear-facing car seats are also effective in protecting children in a rear end accident. According to the university, the research team performed crash tests with multiple rear-facing car seats and found all the seats were effective in absorbing the force of the crash and controlling the child when properly installed. The study was authored by Julie Mansfield who is a Research Engineer for the Injury Biomechanics Research Center at The Ohio State University College of Medicine. Pennsylvania law requires that children under the age of 2 must be secured in a rear-facing car seat until the child outgrows the maximum weight and height limits designated by the car seat manufacturer. A 49 year old woman was fatally hit, while crossing the street by a self-driving Uber vehicle in Tempe, Arizona earlier this month. The crash happened around 10 p.m. Sunday March 18th near Mill Avenue and Curry Road. This incident is believed to be the first pedestrian death involving an autonomous or self-driving vehicle. The vehicle was a Volvo that was in autonomous mode when the accident happened. It did however have a backup driver behind the wheel, which is common for Uber in case the vehicle has to be taken out of self-driving mode. The victim was walking her bike across the street when she was struck by the vehicle and suffered fatal injuries. The vehicle captured a video that Tempe police released that shows the moments before the pedestrian was struck. According to the police, the vehicle was going 40 miles an hour in a 45-mile-an-hour zone and it did not slow down before impact. Police in Tempe and the National Transportation Safety Board are investigating the incident. This incident adds to the ongoing debate of the safety and feasibility of autonomous vehicles and how close they are to becoming more common on the roadways. 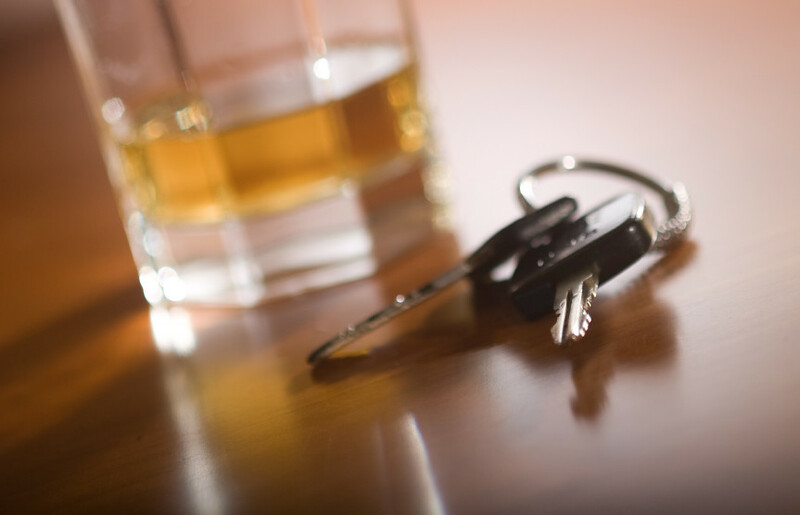 The NHTSA reports that drinking and driving account for nearly 1/3 of vehicle fatalities in the United States. NHTSA also reports that St. Patrick’s Day is one of the deadliest holidays on our nation’s roads. PennDOT data shows there were 28 alcohol related motor vehicle accidents on Saint Patrick’s Day in 2017. That was an increase from 26 in 2016 and 23 in 2015. Children are the most important cargo transported in a vehicle. Car accidents are the leading cause of death for children ages 1 to 13. That’s why it’s so important to choose and use the right car seat and make sure seatbelts are properly used every time your child is in the car. Unlike adults, young children rely exclusively on others to make sure they are safely secured when sitting in a passenger seat in a vehicle. It is our job to make sure a child is buckled up or if they require a car seat to make sure it is the proper one and they are safely secured. Under Pennsylvania law, children under the age of 4 must be properly restrained in an approved child safety seat anywhere in the vehicle. Children under 2 must be secured in a rear-facing car seat until the child outgrows the maximum weight and height limits designated by the car seat manufacturer. Children from age 4 up to age 8 must be restrained in an appropriate booster seat. Children from age 8 up to age 18 must be in a seat belt. The U.S. Department of Transportation’s National Highway Traffic Safety Administration (NHTSA) announced on January 25, 2018 that it is launching a new initiative to fight drugged driving. With a national opioid epidemic and numerous states legalizing marijuana, drugged driving is an increasing problem on America’s roadways. The NHTSA, through its initiative, is making it a top priority to improve safety and reduce deaths caused by drug impaired motor vehicle crashes through creative solutions. The NHTSA is hosting a summit on March 15 to kick off its initiative. According to the agency, the summit will explore the best practices for educating the public on the overall risk of drug-impaired driving; collecting consistent data; testing and measuring driver impairment levels; and enforcing Driving Under the Influence of Drugs (DUID) laws. The Advocates for Highway and Auto Safety is an alliance with the mission to make America’s roads safer by advocating for the adoption of federal and state laws, policies and programs to prevent motor vehicle crashes, deaths, and injuries. The Advocates rate all 50 states and the District of Columbia on what they consider the 16 fundamental traffic safety laws divided into 5 different issue sections. On January 22, they released the “2018 Roadmap of State Highway Safety Laws.” The report is intended to serve as a guidance tool for legislators hoping to reduce preventable motor vehicle accident deaths and injuries. None of the 50 states or the District of Columbia have adopted all 16 of the laws. Most people know the dangers of drinking and driving. However, drowsy driving is not as well-known and can cause equally dangerous levels of impairment. According to the National Highway Traffic Safety Administration, there were 846 fatalities recorded that were drowsy-driving related in 2014. NHTSA estimates drowsiness is at least a contributing factor in more than 100,000 crashes across the country each year. The reported drowsy-driving crashes and fatalities have remained mostly consistent across the past decade. Finding accurate numbers of crashes caused by drowsy driving are not yet possible. Crash investigators can look for certain signs that drowsiness likely contributed to driver error, but these clues are not always recognizable or definite. It is likely the numbers of drowsy driving accidents far exceed the reported numbers. Takata, a Japanese air bag manufacturer, is recalling an additional 3.3 million defective air bag inflators as it continues to add to the largest automotive recall in U.S. history. Through the series of recalls, 19 automakers have had to recall up to 69 million inflators in 42 million vehicles. The National Highway Traffic Safety Administration posted the notice of the expanded recall on the agency’s website over the weekend. The latest recalls are for frontal air bags in certain 2009, 2010 and 2013 vehicles made by Honda, Toyota, Audi, BMW, Daimler Vans, Fiat Chrysler, Ford, General Motors, Jaguar-Land Rover, Mazda, Mercedes-Benz, Mitsubishi, Nissan, Subaru and Tesla. According to the National Highway Traffic Safety Administration, 1 person was killed in an alcohol-impaired vehicle crash every 50 minutes in the United States in 2016. That’s about 29 people a day. Drunk-driving fatalities have fallen by 1/3 in the last 30 years. However, even with campaigns such as Mothers against Drunk Driving (MADD) and “Drive Sober or Get Pulled Over”, drunk driving crashes still claim over 10,000 lives per year. In 2016, 28% of all motor vehicle traffic fatalities in the United States were the result alcohol impairment. Alcohol impairs thinking, judgment, muscle coordination and reaction time. These abilities are crucial to operating a vehicle safely. After only a few drinks you may feel that you are capable of safely driving. However, even a small amount of alcohol can lead to impairments even slight ones that can endanger your life, your passengers, and anyone else on the road. When transitioning into the New Year, many people like to make resolutions to start fresh and make smarter decisions to better their lives. This New Year make the resolution that you will never get behind the wheel after drinking alcohol or taking any substance that will impair your ability to drive.